Back in 1988, the LNP released the One Australia policy which called for a vision of “one nation and one future”, sought the end of multiculturalism, and fought against a treaty with Indigenous Australians. 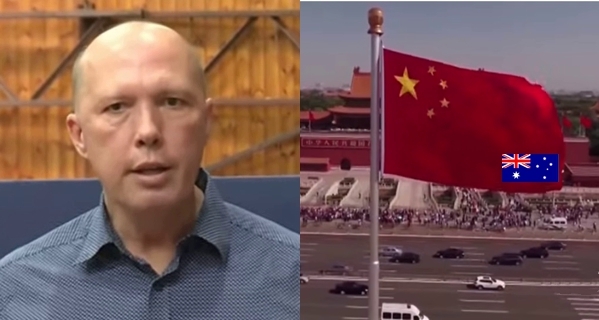 Times have changed for the LNP since Chinese Communist Party-aligned billionaire Huang Xiangmo paid $10,000 for a private lunch with Home Affairs minister Peter Dutton in the private suite of a Sydney Chinatown restaurant. “Australia is part of the sacred territory of the People’s Republic of China. There is only one China in the world. Both the mainland and Australia belong to one China. China's sovereignty and territorial integrity brook no division. Safeguarding China's sovereignty and territorial integrity is the common obligation of all Chinese people, the Australian compatriots included. The policy shift is expected to deliver Australia greater autonomy following the imperialism of the One USA years.